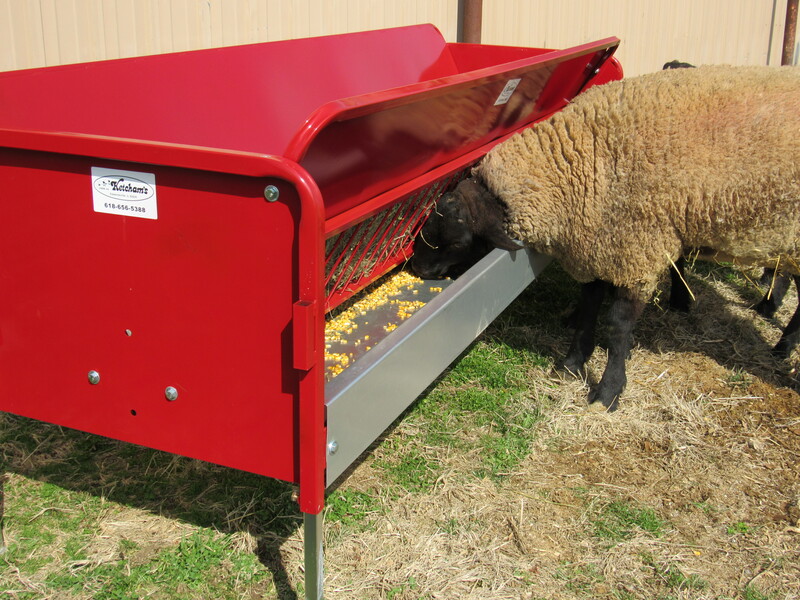 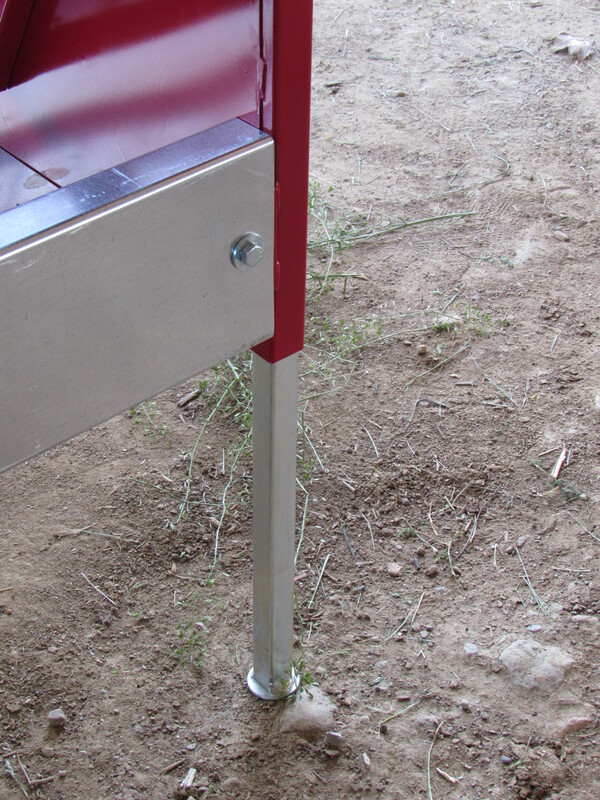 The Two-Sided Hay & Grain Feeder feeds sheep from both sides. 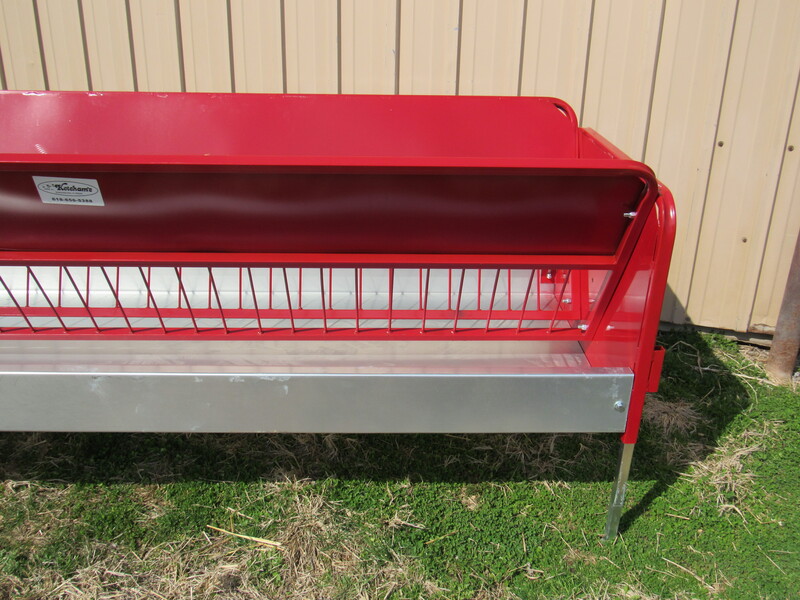 The feeder is 30” wide, has adjustable legs, and can be adjusted so the top of the pan is 10” off of the ground and adjusts up to 30” high. 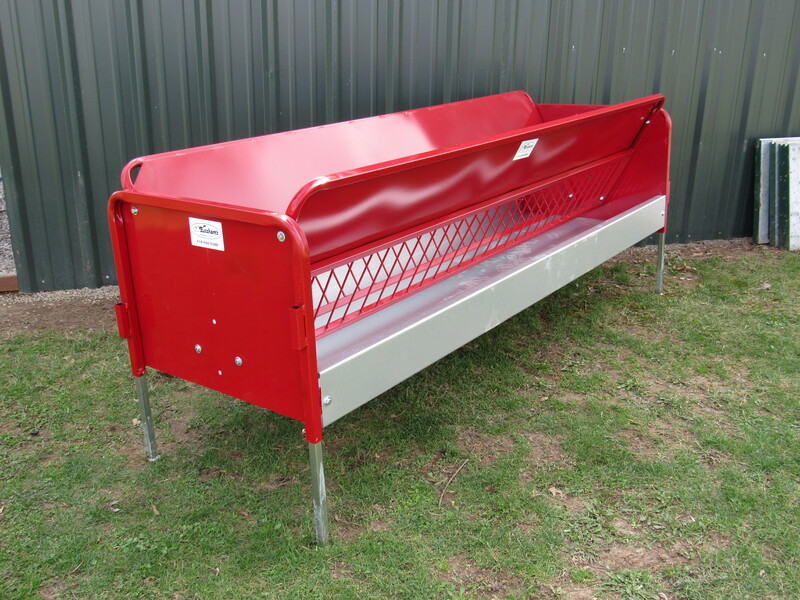 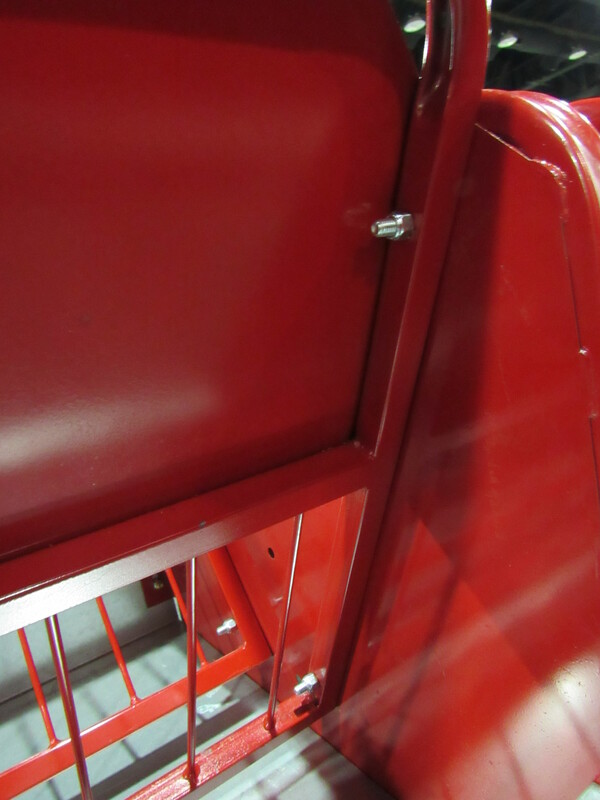 They are available in three standard lengths and can be Kustom built. 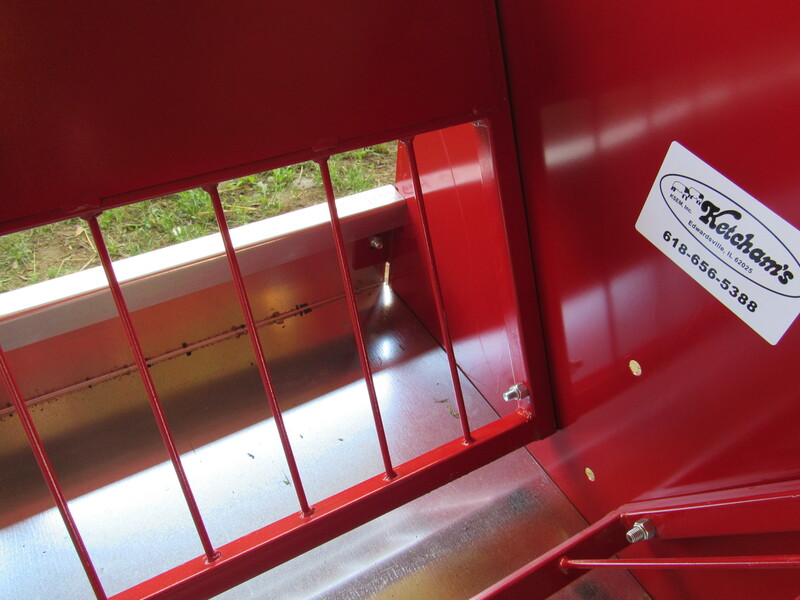 It has a 6” deep, 18 gauge, U.S. galvanized pan in bottom of feeder. 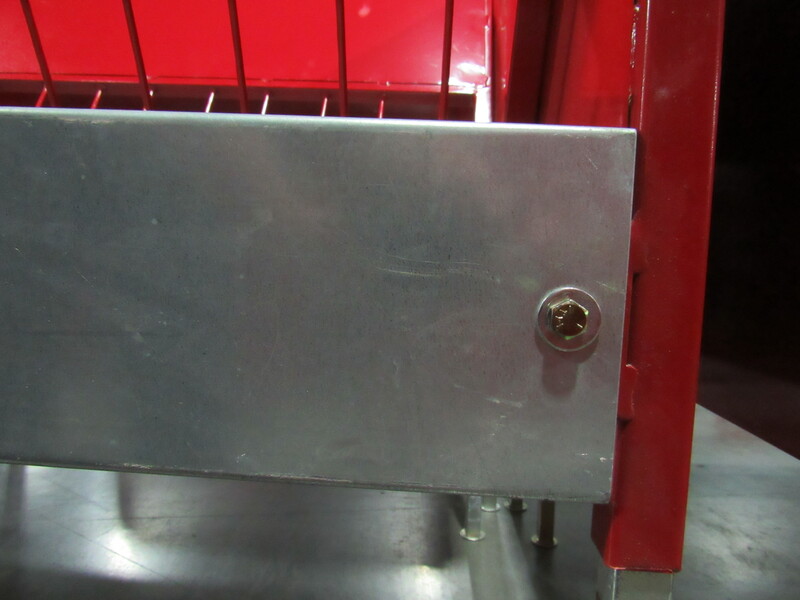 Hay panel has a solid top to reduce hay in fleece and has rods on 3” centers to reduce hay waste. 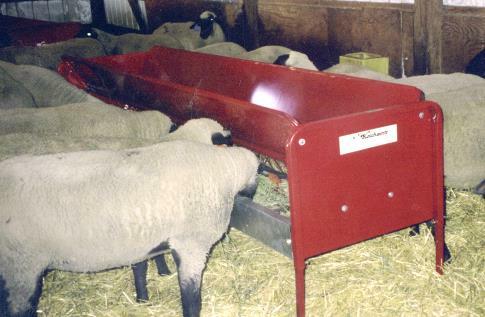 The 10 ft. feeder will feed approximately 20 ewes.